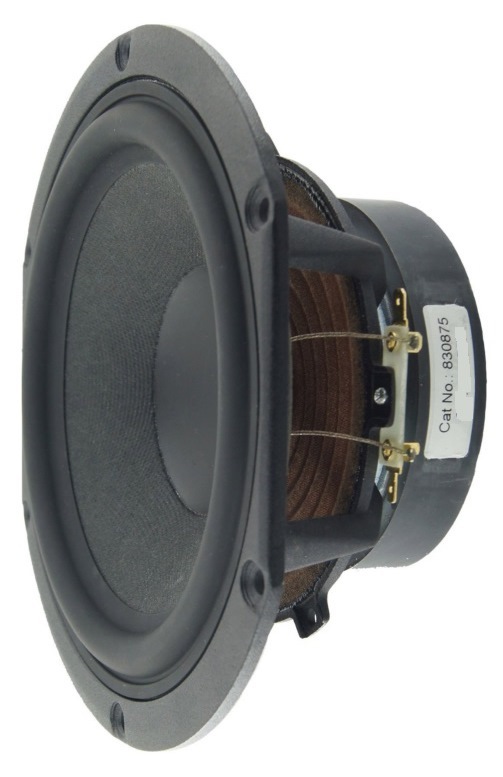 The HDS-P830875 is an 8Ω 6.5″ mid-woofer from the Peerless HDS series. It uses a Nomex cone together with a concave dustcap. The 32.4mm voice-coil has an aluminium voice-coil former and it has a truncated chassi frame that allows for a narrower center to center spacing. 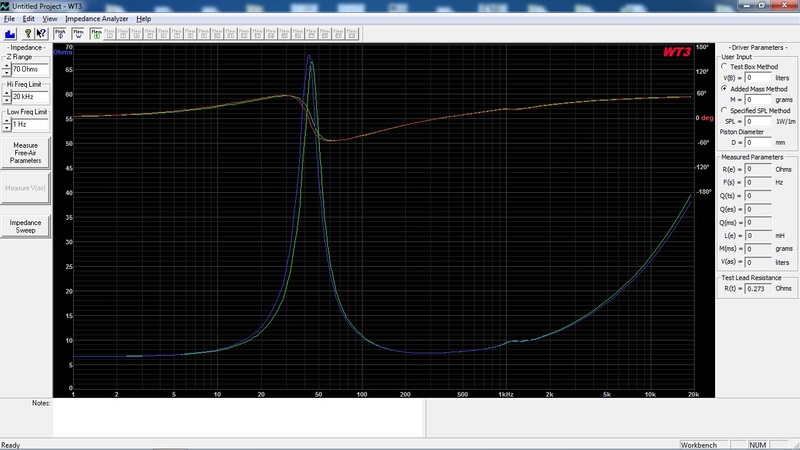 The T/S measurements are very close to the manufacturer’s specification. Minor differences between the two tested driver unit samples. Some wrinkles in the impedance plot can be seen around 1.1kHz, indicating some sort of resonance issue. Baffle size (WxH): 24×35cm with 18mm round-over on the baffle edges (r=18). No driver flushmount. Driver position: Mounted on center-line with driver unit center 25,7cm from the top of the baffle. 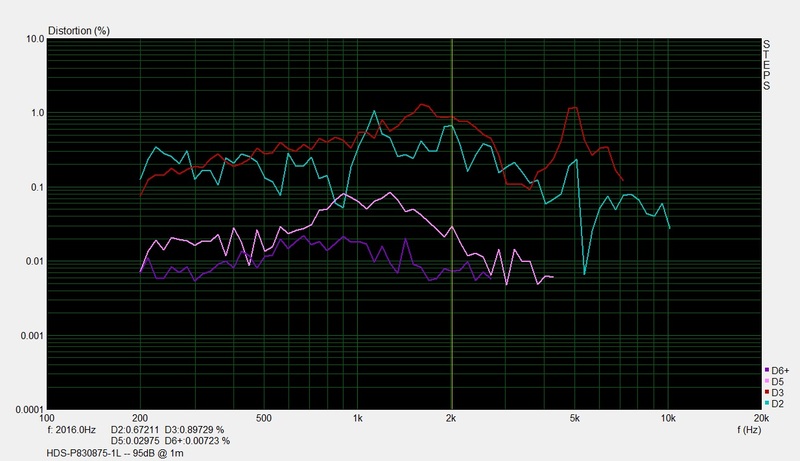 Fairly smooth frequency response with a rising top-end response. There is a cone break-up around 4.9kHz, that might be needed to be notched out in the cross-over. The mid-woofer starts to roll-off at 2kHz and a good start for a x-over cross-over point would be somewhere around 1.8-2.2kHz. Baffle size WxH: 24×35cm. No driver flushmount. 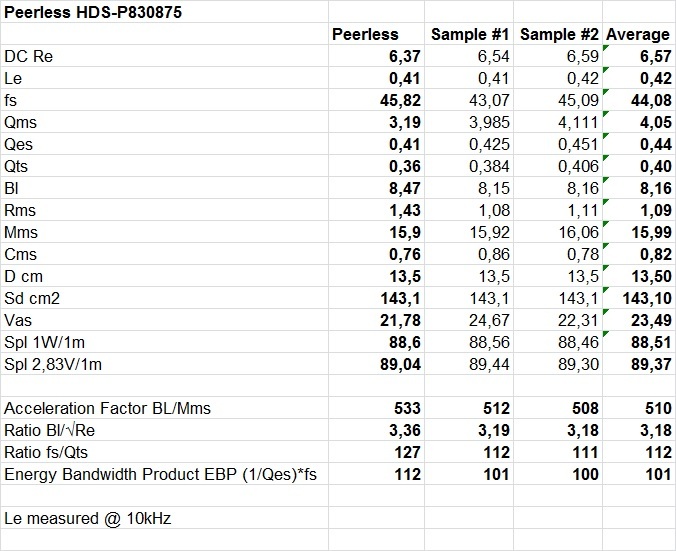 The HDS-P830875 has an average distortion profile with a fairly high third-order distortion in the upper mids between 1-2.5kHz. By choosing a proper cross-over point, steep filter and by notching out the cone break-up, this shouldn’t be of a major concern.